just six outlets being open on the first day, and despite Seattle’s only outlet being closed just four days after sales began due to shortages. 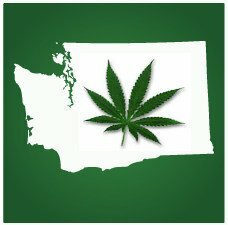 In total, the Washington State Liquor Control Board says $1,272,172 was spent on legal cannabis between July 8th and July 17th, resulting in $318,043 in taxes. In Washington, 334 recreational cannabis outlets have been approved, though most all of them aren’t ready to open their doors, either because of the slow process of obtaining a license, or due to a lack of steady supply due to the low amount of producers currently operating in the state. Despite these issues, the state is still on track to make roughly $1,00,000 in taxes for the first thirty days of sales. could you edit the $ taxes amount? Is it $100,000.00?